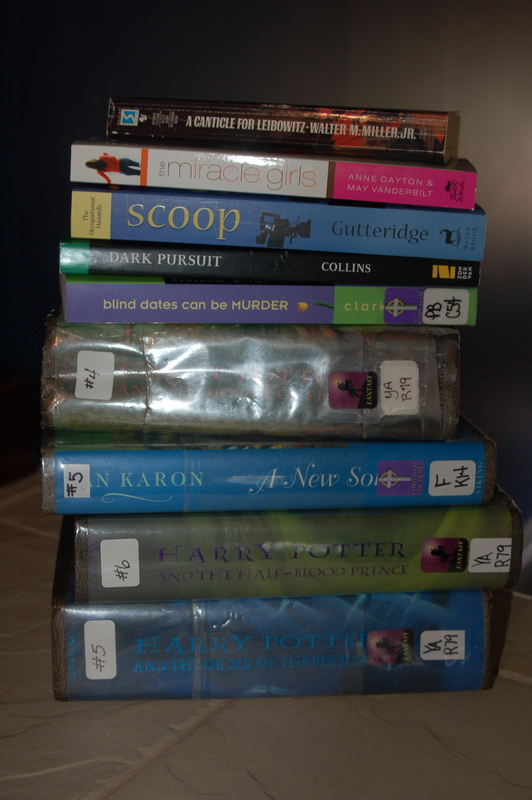 OK, I’ll admit it, I went way overboard gathering books for the June read-a-thon. I’ve accepted that truth, and I’ve learned from it. • A Canticle for Leibowitz by Walter M. Miller Jr. This is still an insurmountable stack for this event, I recognize this. Particularly since I’m on duty for half of it, and I also plan to sleep! I’ll be busy enough I’ll be lucky to finish two books. What can I say? I like to be prepared. Even one of those Harry Potters would take me all 24 hours to read!